What about celebrating your victorious full-day fasting with Ramadhan Delights presented by Collage at Pullman Jakarta Central Park? 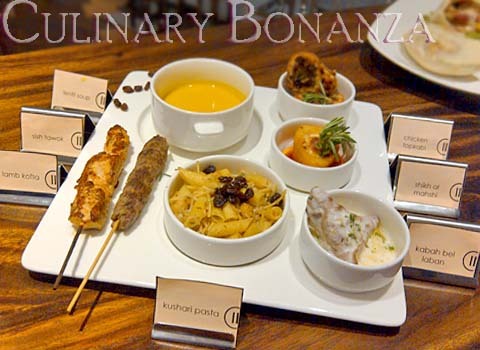 For this festive month, Pullman Jakarta Central Park and Pullman Dubai Mall of the Emirates arranged for a month-long chefs exchange where Pullman Jakarta CP sent over an Indonesian chef, in exchange for a mediterranean chef from Pullman Dubai Mall. Alas, an Egyptian-born Chef Aymen Ahmed was bestowed the honour of introducing Mediterranean delights at Collage for this Ramadhan from 19th July until 18th August 2012. I simply love how Mediterranean cuisine uses chickpeas, lentils, hummus, yoghurt, milk, cheese, olive, cheese to create such delightful combinations and meals. The most common processing method practiced is by grilling or roasting. 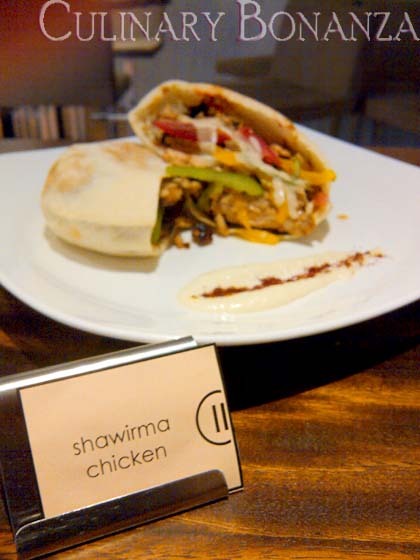 So when I hear that Collage is cooking up my recent food infatuation (Middle Eastern, Turkish cuisine), of course I could not say not! 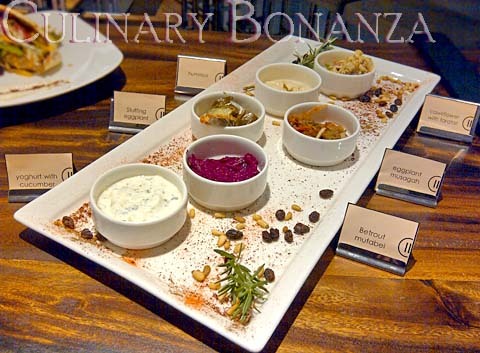 For starters, whet your appetite with the Meze, a selection of typical Mediterranean light dishes normally served as appetizers prior to the main meal. And BIG was the feast that we had at Collage that evening, as I was spoiled for choice (as always the case when eating buffet style)! I helped myself to the classic Mediterranean dishes such as Shawarma and Kofte that Chef Aymen prepared for that evening. 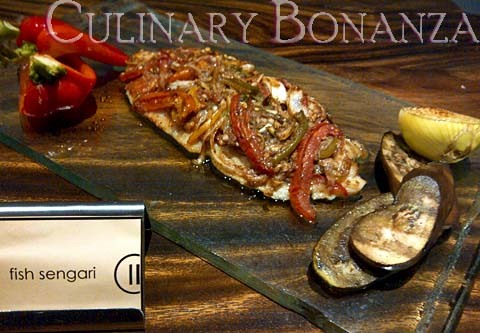 But my champion of that night was the Fish Sengari, tender & juicy dory fish fillet, grilled with the generous slices of herbs, and fragrant spices. The Chicken Kofta, and Kabah bel Laban were not far behind in my list of favourites that evening. I had unfortunately not tried the Kabah bel Laban, because by the time I reached the station, only the creamy gravy was left! Shows how popular it must be, plus Selba and Dino testified for its tastiness. Another item that I loved was a dish called Chicken Topkabi: savoury & herbed rice mixed with raisins, wrapped in de-boned chicken legs and sliced vertically to reveal a fully-stuffed cross section. Delightful! My champion dessert for that evening was called Um Ali, it's like a wet (and slippery) version of bread pudding: sweet, warm, juicy and soft. The sweetness was not overwhelming and it's fresh. I even helped myself to this for 3 times! That's how much I loved this! Alternatively, if you're craving for chocolate, I'd recommend the Chocolate Cake, soft and creamy at the top that melts in your mouth and more firm at the bottom. Mediterranean Mains Selection: Pasta, Grills, Soup, etc. 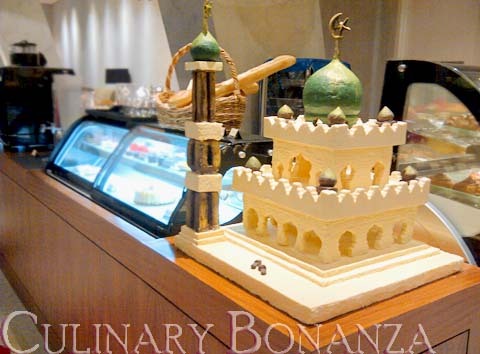 The Mini Mosque is entirely made of sweet-smelling chocolate!